PCMCIA is a non-profit trade association that establishes technical standards for computer technology. PCMCIA had developed the next generation PC Card, “ExpressCard,” that offered higher performance, greater mobility and ease-of-use than previous cards. While a sizeable portion of ExpressCard sales were to be to OEMs, ExpressCard would also sell directly to technology consumers. 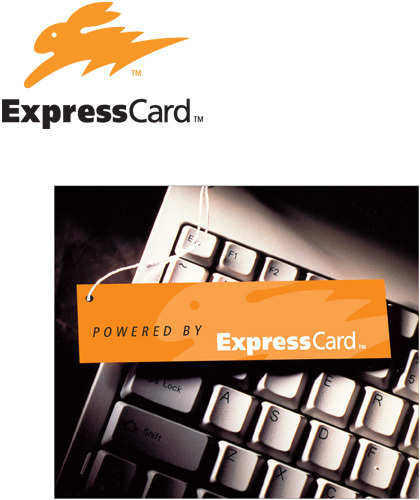 Thus, PCMCIA asked Leader Creative to develop a brand identity for ExpressCard that would create consumer appeal by communicating the product’s key attributes of speed, power and convenience. The graphic identity had to overcome two highly common descriptors, “express” and “card,” which are used in brand names everywhere from delivery companies to credit and ATM cards. Further, “ExpressCard” does not readily communicate the ground breaking technology of this remarkable consumer-friendly product. From over two hundred symbol and logotype designs came ExpressCard’s rabbit identity. Known for speed and friendliness, the rabbit, in combination with its “lightening bolt” shape, suggests power, speed and easy-to-use—all key communicative attributes in a consumer marketplace.